What is the highest score? The answers are not always based on objective calculations or controlled experiments, but provided by players on various levels of experience and sophistication. It is necessary to go through a few forums to come to satisfactory answers. Difficult – cards are dealt from all 4 suits (thus two full card decks). Initially, 54 cards are dealt to the tableau in ten piles, face down except for the top cards. The 50 remaining cards are dealt from the stock to the tableau ten at a time, at the discretion of the player, usually when no further moves are possible. This is the “classic” computer version of spider solitaire that first showed up in the 98 Plus Pack by Microsoft that came with Windows 98 and since then remained part of subsequent Windows releases. Although a computer version from Sun Microsystems dates from 1989, it is the free Windows releases that added to the game’s popularity. An important variation within the Windows games is the versatility of the “undo” facility. In some versions, a player can only undo up to the last deal from the stock, or the last move from the tableau to the foundation. In other versions it is possible to “undo” back to the beginning of the game. This influences the odds of winning and is an important feature when calculating the odds. The Vista version calculates scores differently by awarding bonus points and is thus not comparable to other versions in terms of scoring. Apart from the classic version there are a multitude of variations. Thomas Warfield is the person who invented Pretty Good Solitaire which contains a large collection of unique versions of Spider solitaire. This article focuses on the classic game in the Windows releases, the “difficult” level, with unrestricted “undo” facility and excluding the Vista Version. This question can be answered theoretically. Different players in different forums came up with the same answer and I confer to the logic. The highest possible score is 1254. The base score you start with is 500. If you successfully build the 8 suits, you are awarded 800 points, which gives you 1300. However one point is subtracted for every move. If you have to build the 8 suits, you will have to move 12 cards (Queen on King, Jack on Queen, 10 on Jack) for each of the 8 suits, making 96 moves. This would bring the score to 1204. If however, by fantastic luck, in each of your 5 deals of 10 cards, each card falls exactly on its right cousin (Queen of Hearts falls on King of Hearts), you will not have to move these 50 cards at all. You will thus gain 50 points which makes the score 1254. World rankings for Spider Solitaire (source below) are based on 935 players submitting 2563 games. This is not a tournament as such and not an organised system to identify the best players in the world. It is however the only “formal” recognition that could be found on the Internet in regard to high scores. The highest score submitted was 1197, with the 50th position held at 1122. Some sites claim that it is impossible to calculate the highest theoretical proportion of games that could be won. This should be possible however, through computer simulation of all the possible combinations of dealt cards and the best possible solutions for each of these combinations. So far it has not been done. The only data available are those shared in the various forums. There are of course many issues around self-reporting. This ranges from different ways to save the games on the different systems, to downright cheating and fiddling with the registry - or just plain lying. Nevertheless, I make a hypthesis that the highest possible proportion of games that can be played out should be around 80%, based on the feedback from experienced and exceptional players who take care to play out every game, “undoing” back to the beginning various times and even taking days to play out one game. The really good players report about 50% and the average but frequent players around 30%. Many claim that they don’t get past 5%. This article does not focus on game strategy, other than to point out that the strategy for getting a high score, and that for playing out a high proportion of games are in conflict with each other. To get a high score, a person plays many games and try to make as few moves as possible (thus not really using the “undo” facility). Once it is evident that the game will not lead to a high score, the game is discarded and recorded as a loss. A person playing with the object to play out the game, uses the “undo” facility to its full potential, revealing face-down cards to exercise the best options and even go back to start from the beginning and use all the information available to them. One player reported even going into negative scores - I am busy testing that claim right now. 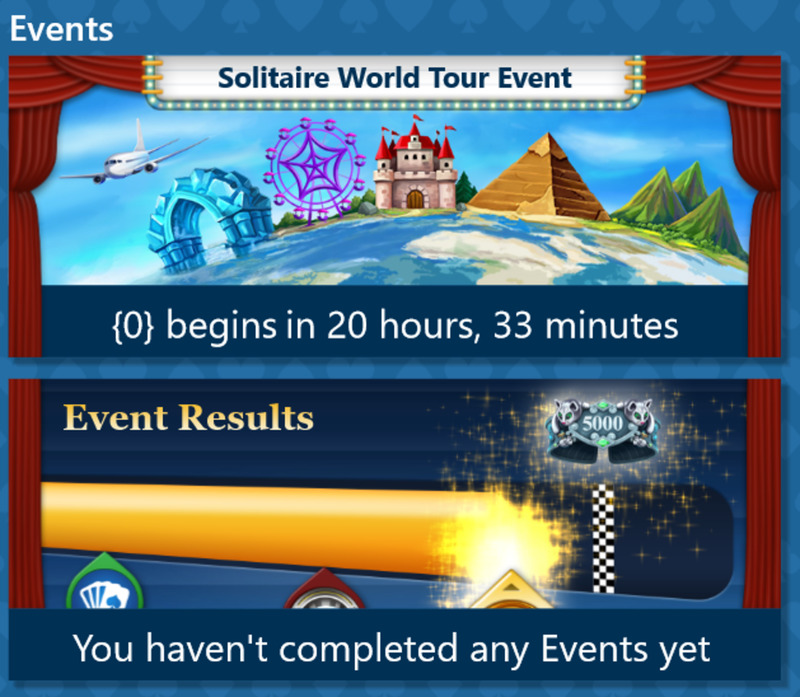 At last a solitaire tournament? Do you play the Microsoft Solitaire Collection Daily Challenges with tripeaks, solitaire, klondike, pyramid and freecell? It can become quite addictive to see if one can solve all the daily challenges. I struggle with this month's Tripeaks for 5 August. Do you play the Microsoft Solitaire Collection of Klondike, Spider Solitaire, Freecell, Pyramid and Tripeaks? Hi, I've been playing spider 4 suits for almost 6 year now and I have solved all of the games. Yes I do use the undo button (unlimited), I do not keep track of my score or how many I had to reset (admittedly I can undo all the way to beginning so the game does not reset or have to throw away a game). The longest game I played was 5 weeks, but I finished all of them. I have been playing Spider Solitaire with 4 suits for over 10 years now. It took me a while but I can now win pretty much any game. My current win percentage is 99% based on 299 games, which is how many I've played on my current laptop. The win percentage on my last laptop was also 99%. I use 'undo' a lot and don't give up on a game until it's solved or I'm really, really fed up with it. It can't be possible to win all games as clearly there are some deals that will totally unplayable but the majority can be played out with patience. Interesting that the new version of Microsoft Solitaire Collection gives the option of random games, vs solvable games at different levels of difficulty. To my mind that means that there are unsolvable ones? One does not know how they came to the conclusion: through mathematical analysis, or through empirical data collection of millions of people playing there games? Thanks for your advice. I actually posted on here a couple of months back but it doesn't seem to have come through. I actually solved the game! I had done exactly what you suggested and documented a map of where all of the cards were. I did this with the intention of giving up but wanted to have a record of this "impossible game." But then I decided to give it a few more goes. I played the most ridiculous unconventional game I could think of, even at times choosing to draw from the pack instead of making obvious moves. Eventually this paid off. However, all in all it took 60 hours, 36 minutes and 14 seconds of my life! I still enjoy the game and am now up to a winning streak of 790. So perhaps there are no unwinnable games after all. I have done the math. According to what I've found, in my opinion, the odds of playing many thousands of games in a row (at any level) and encountering even one that is not mathematically winnable are astronomically low. The studies that I've read seem to pretty much concur, although no one that I'm aware of has calculated the exact winnable percentage at any level. This is why so many claim to have played many hundreds of games at the 4-suit level without losing. I believe that they are being truthful. However, the 100% win ratio can only be achieved by liberally undoing moving and restarting games. Quite probably they also refuse to play games where the first 10 cards don't look good. My definition of winnable is: If there exists a combination of moves and deals, not matter how unintuitive, that when played would lead to a victory, then that game is winnable. More aptly put, the game is mathematically winnable. Many claim that all games are winnable. Since it's possible to arrange two decks of cards so that a game could not be won, we know that this is not true. But just because a game is mathematically winnable, there is no guarantee that it will be an easy victory. In fact, one should expect that very many of them can only be won by playing unintuitively. This explains why no one can possible win all their games at the 4-suit level without undoing moves and restarting games. So, in my opinion, I find it extremely unlikely that you encountered a genuine mathematically unwinnable game in just 673 games. My guess is that you encountered one which required extremely unintuitive play to win. My advise is to create a map of where the cards are. This includes the deals and the hidden cards. You might have to restart the game several times to expose all the hidden cards, likely just exposing a few in each iteration. If you can build a complete map, you can sit down and study it and attempt to come up with a plan of attack. At the very least, you might keep the layout since someone in the future might write a program to determine if and how it could be won. Thanks for that Spidercrazy. Those studies were interesting to read, although a little over my head mathematically. But I can definitely see how there are unwinnable games. I'm going to take the pressure off myself by assuming that this game is one of those very rare unwinnable ones! The bottom line: By playing 673, by chance you could have hit one of those. Elle Jay I dont think that you can put in the cards and find a solution. It is a pity that the games are not numbered anymore, because I'm sure that the spider playing community would then be able to assist. I have been playing Spider Solitaire for years. I play the 4 suit level and have won 849 games out of 873. My current winning streak is 673. This is because I am determined and never give up and I definitely use the "undo." But I have hit a snag. I have been playing the current game for about a month and no matter what I do I just can't seem to get it out. I am ready to give up. I am happy to cheat just to get rid of this game without actually giving in. Haha. Is there anywhere online where I can put the cards in and find out a solution? I should add that I play it on my phone so it's wrecking my eyesight! @Spidercrazy - yes I can associate with that determination. I still think there should be tournaments with Spider Solitaire - at least you might be able to win some bitcoins or something with your skill! I spend far too much time with Spider Solitaire Pro on the iPad, but after practice, I now have won 578 games in a row at the Expert level (4 suits). The longest, which i just solved, took me over 25 hours (according to the timer). I almost gave up on that one. Reeeealllly hard! To win a game with such an unfortunate deal, you really have to make some non-intuitive moves. My fastest time on 4-suits is 10:14. Marcelus01 thank you for your post. Do you play the Solitaire provided through the current Microsoft Solitaire Collection? I remember the Vista version used to give points for certain goals reached, so the points system is not the same for all versions of the Spider Solitaire game. @Steve - thank you for your answer - it makes a lot of sense in terms of programming. Also that in fact while that there may be unwinnable games (such as all Kings dealt in the last deal - or other unplayable combinations), these would make out a very small percentage and the chances are small that the player will be dealt an unwinnable game. I have always wondered how many combinations there are in total. @Cat - sounds like you are determined - would be good if one could make money out of spider solitaire. As I said somewhere above, has there ever been a spider solitaire tournament? I've played 1079 games of 4 suit spider on "solitaire plus for mac" and have a 100% winning streak. I use undo and have gone back to the beginning of a game and started over. An average game takes me about 10 minutes to win, but I have spent over 5 hours on some very counterintuitive games. I am obviously very stubborn and once I decided every game is winnable I don't quit. I actually stopped playing because it got too boring. I've heard the suggestion several times before that perhaps unwinnable (impossible to win) games are taken out of some versions of spider solitaire. This is a preposterous and unsubstantiated claim. At the 1-suit level there are more that a googol unique possible games, and many times more at higher levels. (A googol is a one followed by a hundred zeros, an unimaginably huge number, much more than all the particles in the observable universe.) Yes, I have done the math. As it turns out, practically all of these unique games are winnable, meaning that there exists a sequence of moves, no matter how unintuitive they might be to play, that would lead to a victory. So, in the first place, there's really no need to filter out games that cannot be won. From a programmer's perspective, finding games that could not be won would be impossible. There are just too many possibilities to check out. Even if it could be done, it would take a very, very long time. This is not feasible. One might keep a data base of games that have already been won, and therefore known to be winnable, but this would use up a lot of disk space and upset a lot of people. I think it's very safe to say that no version of spider solitaire filters out games that are not winnable. In fact, the percentage of winnable games is so high (at every level) that a player could quite conceivable play millions of games and never encounter a single unwinnable game. But, as some of the paths to victory would be very unintuitive, the player would not be expected to win every game. But for the player who plays the same game over and over, noting and studying the position of every card, a 100% win ratio is very doable. However, many of the games might require a lot of iterations and some ingenuity to win. Who plays the Daily Challenges of the Microsoft Solitaire Collection with Klondike, Tripeaks, Spider, Pyramid and Freecell? @Peter. Good point. I do think in any game the last deal can have ALL impossibles, e.g. equal numbers (2, 4, 6, etc). Then no card would fit. So I would be skeptical of a 100% track record. Yes, there is a "no win" condition in all levels. If you got only kings in a set, you loose. So, you may win 99,9999999% - but not 100%! I have a 98.7 winning percentage in the 4 suit deal. My current winning streak is 294. I use the undo but never restart a game. My best moves game is 165 and the most moves game is 13907. I use random shuffle never winning deal. It a tedious, relentless and patient challenge. I don't play the top level much. I play the two suit level. I have a high of 1215. I essentially play till I win. I always select the game I want to play. No more than 1 ace that has a 2. I want all but 3 or below cards to be moved or played on. The best series of movable cards are in the middle of the series as the odds of having a play is increased with those cards. I have lost some games as a result of hitting the wrong button when I make a mistake in the pull down menu and accidentally end the game. On this computer I have played 1687 games and won 1683. I think all of the losses have been accidental or computer freeze. problems. I may have to play a long time and use unconventional methods such as doing a throw and not playing some of the possible plays on the throw. I believe, however, that if you pick the right games you can win them all. My lowest score was 540. On my lap top I haven't lost a game yet. On one of my computers I am going to reset and always take the first game delivered. When the game used to be reversible only within the throw I didn't have this good of a score obviously but I think it was in the 60% range. It's interesting that, by your own admission, you don't use capital letters because you are lazy, yet you immediately continue to not use capital letters. Why? Is being lazy a good thing? Do you not understand that not using capital letters -- as well as other things -- makes it more difficult for the reader on the other end to comprehend your thoughts? Or, do you simply just not care? For undoing moves without restarting games, your 54% win ratio in over 2000 games is not too bad. However, to repeat myself, I believe that you could do a lot better. How much better? In my estimation, by undoing moves without restarting games, even without skipping games, a player should be able to win about 80% of their games. What makes me think this? Read on. You never said whether you reject games. For example, if you begin a game where no moves are possible, do you play it? Rejecting games can raise a player's win ratio significantly. Do you reject games? If so, how do you determine which games to skip? Intuition? You said that you erased your "63% two years ago". By this, I assume that you reset your statistics keep by the spider software. Have you ever considered keeping your statistics in a spreadsheet? At the minimum you could keep the date, a game number, your score, and whether you won or lost. Then, computing your win ratio would be extremely simply. But there are advantages to maintaining you own statistics. You can keep other information. For example, among other things, I keep the move count and the number of hidden cards at the end of every round. When I graph these and other statistics, I usually get rather smooth curves that sometimes reveal clues as to how I might improve my game. For example, I've learned that if by the final deal I have 12 of less hidden cards, the odds are well in my favor of winning; if I can complete even one build, I have more that an 80% chance of victory; and in only 21% of the games that I win, do I complete all 8 builds in the final round. Knowing these, and other things, influences my game play, more so as the game progresses. Of course, since you are not me, what you might learn from keeping statistics should not be expected to be the same. As well, you undo moves; I don't. These are two very different games. The strategies are somewhat different. I also keep a record of the initial 10 cards dealt. This allows me, with the help of a little code, to try out different scenarios to determine the best criterion to reject games by, even though I don't reject games -- ever. In fact, if I did, I could not make these calculations. My tests also tell me that by undoing moves without rejecting games, a 80% win ratio should be possible. However, I admit that part of the percentage is a guess. I could explain how I arrived at this figure, but you're probably not interested. From your post, you don't believe that more that a 70% win ratio, while undoing but not restarting, is possible. I do! I speak from both experience AND statistics. I very much know what you mean when you say that you play fast. It's a hard habit to break. I know that I've lost many games in the same manner. However, I find that keeping my own statistics in a spreadsheet forces me to slow down a little. It seems to help, but maybe it's all in my head. I think that a lot of people lose games because they follow the usual advice online; such as: always turn the hidden card in the pile with the fewest hidden cards, never place a king into your only empty column, and my favorite, the secret to the game is emptying columns. None of these is true. It's really the state of the game at the particular moment of play that dictates the next move. Maybe I wasn't clear in my last post. My idea WAS that each player would play the exact same games, but the games would be randomly generated beforehand. Your record of 11 consecutive wins is not bad. My record is 7, which I have only managed to do once, but I have managed 6 a few times and 5 quite a few times. Oh course, my streak is without undoing a move, without restarting a game, and without refusing to play a single game presented by the computer. In my last several hundred games, I have also not lost more than 6 in a row. I also track my last 100 consecutive games. My most wins in 100 consecutive games, as presented by the computer (no undo and no restart), is 55. Of course, I've been called a liar because it's impossible without undoing moves. No, it's not! Furthermore, I know that my game is not perfect because I still catch myself making mistakes. This mean that I could potentially do better. It's also quite probable that someone else already has. As you can see there is nothing wrong with my keyboard... it's just a lazy habit i picked from a friend. i don't restart. i do use the undo feature - it makes the game interesting, and it teaches you strategy. i had a 63% two years ago and erased it all, in order to break the addiction. i started all over again... sometimes i am just mad at myself for playing, so i play very fast and not i don't squeeze the max out of every game. to compensate for 5 games like this you have to win 6 in a row... and after over 2,000 games, to move 1 percent up you got to win about 35 straight games... which is insane - my longest streak was 11.
i do not believe anyone who claims he wins more than 70% even with restarting games. the math is very complicated - i speak from experience only. btw, about the competition... i have an improvement: giving all participants the same random games, in the same order, the goal is to reach not most wins but as many points (scores) as possible in a given time. this should really test one' strategies. Noam: I hate to burst your bubble but if you're restarting games as well as undoing moves -- which most players who undo do -- then your 54% win ratio is not at all world class. Many players claim a 100% win ratio. Do you think they're lying? I've done the math. I don't thing they are. On the other hand, if you are undoing moves and NOT restarting games, then 54% is not that bad. However, you should be able to do much better. Another question is: Are you rejecting games that the computer presents to you? Because if you are, this can potentially raise you win ratio by 10% or so. If so, your 54% is less impressive, that is, assuming that you are scrutinizing games to pass up in a skillful manner. Now, concerning your tournament idea: I've given this quite a bit of thought over the last few years. Lets suppose that we allow players to undo and restart. Assuming that they have lots of time to play their games, we should expect that many of them would win all of their games. But, your idea was to limit their time. This might actually work, but it's not my idea of fun. Yes, I think that there should be a tournament -- similar to blitz chess -- where the player can undo, restart, and has a limited amount of time. But, what about the player who doesn't undo or restart games? There should be a parallel tournament where the player can neither undo moves nor restart games. Special software would need to be written to ensure that nobody cheated. (We would also fix it so that they could not reset a game or reset their computer.) Each player would have lots of time and would play the same exact (randomly generated) games, how ever many of them there would be, perhaps 100. Since it's a given than none of the player would win every game, we could take the top players and move them into the finals. I have ideas for the finals as well, but I'll spare you the details. How does it sound? Another idea is to have all of it online except for the finals. Of course, there would be many details to work out. For example, each player would need a webcam so that we would know if there were really playing. Obviously, players would have to pay an entry fee. I have one final question for you: Does your keyboard not have capital letters? i am pretty sure i am a world class ss player. in the last year i played over 2,000 games, with 54% wins (working hard on the 55... i know i can do it, since a couple of years ago i reached 60%!! in over 1,000 games). if there ever would have been a championship, i believe the objective (method of determining who is better) should be: to win most games possible in, let's say, 3 days of competing, 10 hours each day... based on average of 20 minutes per game (pros, remember?) you will be able to get over 50 wins. think about it: time is a factor. Steve. Thanks, the way you explained it I think I understand better - taking the given and work out the different paths. At first I thought not undoing is more random, but the way you explained it you use your logic (and knowledge of the game) to identify your options. Elnavann, I really haven't played a lot of games with undo, so I don't know first hand how difficult winning in that manner is. But certainly one is going to win very more games by undoing moves. I've read several claims of win ratios of 100%. I have no cause to doubt them. It would seem that even at the 4-suit level, nearly every game is winnable. But, this does not mean that a winnable path will necessarily be easy to find. For instance, one might turn over a hidden card in the opening round only to discover at the end of the game that the opening-round move actually created an unwinnable situation. Of course, if the player fails to notice the reason for the loss and there is no other winnable path, winning the game could indeed be quite a challenge. So, when you say that "undoing is sometimes very difficult to solve", I believe you. However, the key word in your statement is "sometimes". I also believe that the majority of the games played with undo are not so difficult and are basically little more than trial and error. For me, the majority of games are challenging; however, it appears to me that for the undo player, only a small percentage of the games would be challenging. But, maybe I'm wrong. It does seem though that using undo results in quite a different game than when undo is not used. Some enjoy the undo game and some enjoy the no-undo game. I am mystified as to what you mean by "you give yourself more options, by knowing more". I assume that you mean that by undoing and restarting, you learn more about the setup of that particular game. But, this is not the same as knowing more about the game in general. I think the key different between the two styles is that YOU can move cards around to try out different scenarios to see what works and what does not. On the other hand, I am forced to imagine what the current game state would look like were I to perform a particular sequence of moves. Then, holding that in my mind, I must imagine what to do next, and so one. I must see into the future purely my envisioning different what-if scenarios, without ever moving a single card. When I do move cards, it's not uncommon for me to play 20, 30, 40, or more moves before finally realizing the gain I held only in my mind. On occasion, a plan will take more than 100 moves to complete. To be truthful, there are tricks to remembering a complicated plan. I do not actually have to remember every single move. But even so, it can get very involved. This is why, in my opinion, the no-undo game is more challenging. But then, as I said, I have never really played the undo game, so I really don't know for sure. Steve, I agree that NOT all games are winnable in principle. I have often wondered how many possible deals there are, and of course a computer programme would be able to asses the theoretical possibilities and also the percentage unwinnable. When it comes to undo, I think you give yourself more options, by knowing more, thus I do not see it as cheating. For me, even with undoing it is sometimes very difficult to solve a game. Sorry TheoDeed, but you absolutely wrong on both counts. Lets define a winnable game to be one in which there exists at least one sequence of moves, no matter how improbable, that if played would lead to a victory. You claim that the odds of winning without undo are 3% to 20%. I play only at the 4-suit level, I never undo moves, I do not restart games, and I do not reject games. Yet, over hundreds of games I have averaged a win ratio in excess of 45%. And no, I'm not making this up. Furthermore, I still make mistakes. I should think that if a computer were programmed to play Spider flawlessly, without undoing moves and without cheating by looking at hidden cards and so on, that it might win on average as many as two out of every three games. It's all about finding the move sequences that give you the greatest chance of victory. The sad part is that many games cannot be won by playing them logically; but, playing them in this manner should maximize your win ratio. The truth of the matter is that the odds of winning without undoing moves depends on the skill level of the player. Contrary to what Mendicant Optimist believes, it is NOT largely a matter of luck, although as with card games in general there is a healthy element of chance. I might claim that playing with undo and restart is largely a function of trial and error. But to be fair, I think there is some skill involved even when undoing, but I believe less than when not undoing. In any event, if one can win ever game by undoing, what's the point of playing? Where's the challenge? You also claim that by using undo one can win 100% of games, if they are persistent enough. First off, you will win a fair bit less than 100% unless you also restart games. But besides that, the fact that it's possible to arrange the cards in a Spider game so that it cannot be won tells us that not every game is winnable (at any level). However, NEARLY 100% is possible by undoing moves and restarting games. The reason, I believe, that some seem to think that all games are winnable is because they have no concept of just how many unique games there are. Even at the 1-suit level, there are more that a googol unique Spider games. (I have done the math and so have others.) This is a 1 followed by 100 zeros. Suppose that there are 10^80 unwinnable games, which seems like a gross over exaggeration. Then, on average, a player should expect to be dealt an unwinnable game in only 1 out of every 10^20 games. Practically speaking, they should expect to never be dealt an unwinnable game. It's a game. If you like to play without 'Undo' your chances to win will be something between 3% and 20%. If you allow the undo your chance of winning is 100%, if you are persistent enough. The game is programmed like that. It is up to the player which way to go. yeah you are dilusional . in your twisted logic using undo to "win" is more challenging. i have Dandy Walker Variant ,mega cisterna magna,i run these type games for a baseline of cognitive ability and function. currently at 13% win rate,four suit ,random deal. 18-20 minute solve time. i am wondering why your perceived logic is reversed? have you solved random 4 suit without using undo? undo is NOT function of reality. Success and failure created DNA not you. undo is not possible in real life. no one would die...ever! you are delusional in thinking undo is anything beyond a binary code in a virtual world i.e. video game. side note...do you think it is wise to screw up billions of years of natural selection with your genetic manipulations? I have to disagree with you ASAaARTWorksUSA. When you don't use undo, whether you win or lose is largely a function of luck. It's true that there are some basic strategies that will increase your chances of winning when you don't use undo, but these are nothing compared with the memory, foresight, and planning that are required when winning a really challenging game using the undo function. I am a molecular biologist and design targeting constructs for modifying genes for a living, and I can tell you that playing solitaire with the undo function uses the same parts of my brain as engineering a complex DNA construct. Real life contains plenty of anaologies to the undo function. I can't tell you how many times I've tried a particular genetic engineering strategy that didn't work the first time, forcing me to go back a few steps, sometimes to the very beginning, and start over again to see if another approach will work. If you're going to take the less challenging approach and avoid the undo option, maybe you should just stick to regular Windows 7 solitaire. Everything can be solved 100% if you can go back and repair mistakes,infinitum. Such a thing is not reality of life...therefore using undo in Spyder is NOT in anyway way an indication of a players skill. your brain needs real problem solving exercise. stop cheating yourself. There were two other things I meant to mention. One is that I never reject a game based on the initial deal, so it's possible to win at least 99% of all Windows 7 games, not just the ones that look good on the deal. The other is that when the program displays the "No More Moves" window, it isn't always right. Many times when I'm shifting cards around toward the end of the game, the program isn't sophisticated enough to see what's going on. I was playing a game earlier today where the program told me several times that I had no more possible moves during a series of moves I was making. I selected the "Return and try again" option each time and ended up freeing up an additional stack. So, don't let it convince you that there's nothing left to do if you can see that there is. I only play four suits on Windows 7. I use the undo function liberally, but until recently I'd discard games if they got too tedious. A few months ago I decided to test the idea that all games are winnable, and so I resolved not to give up unless I was convinced that I'd tried everything possible to win, including going back to the beginning multiple times. Since that time I've won every game I've tried - over 250 games - without any losses, except in one instance I accidently closed the program while a game was in progress. This sometimes involves thousands of moves, and really crappy scores, but I'm going for the win, not the high score. And yes, you can win even when you run into a situation where there aren't any moves on the last deal. You just have to go back and rearrange things so that one of the final cards lands on the next higher card(s) of the same suit, so that you can move them as a stack. This may sound far fetched, but it works, even though sometimes you have to do a lot of backtracking and rearranging. Obviously this doesn't prove that every game is winnable, but, in Windows 7 at least, my experience indicates that over 99% of games can be won. I'll let you know if I run into a game that seems unbeatable. Absolutely on random deal ,unsolvable is prevalent, but not as much as simply flipping wrong card, when refusing to use undo. That is why winning deal option is made available, computer run guaranteed solvable, if you play it correctly. 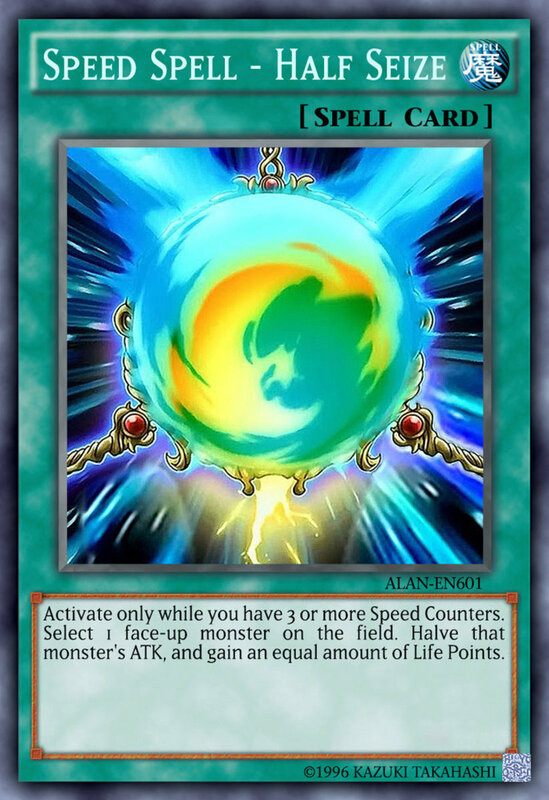 I also thought there should be some spider combinations that are unsolvable, for example, what if none of your deals have ANY movable cards? I average on(winning deal) Spyder, 4 suit, 20 minutes with 200 moves NO UNDOs as in life. Undo is NOT a factor of setting a mean percentage of games solved in 100 plays. There is a function of real world spyder random deal ,1 in 30....winning deal,( predetermined by computer running all possible combinations)1 in 10...you can lie to the world, but you can't lie to yourself. If the game were random, 100 wins in a row would be impossible. So it is programmed to be winnable. Up till now I won them all. Just 151. Once with 1700 moves. I have a 90% winning record in 4 suit level the Windows 7 version using undo. But I know I could easily stack the deck in such a way that the deck would be unwinnable. Take all of the Queens and 10s and put them in the top part of the deck so they are dealt face down in the initial deal. Then put the Kings and Jacks in the deck so that they are the only cards face up in the initial deal (like KKKKJJJJKK). Then no matter what happens with the cards you turn up later, you can never win because you can never move the initial 10 face-up cards because you will never expose a Queen or 10. Now it is entirely possible, that the game only deals winnable hands, but if the deck is completely random, there are many different combinations that are provably unwinnable. I play only four-suit Spider (original Windows version). I hand record my games and keep my statistics in a spreadsheet. I have two modes of play: game and experiment. Game mode begins whenever a new game is initiated. During game mode, I never undo a move nor restart a game. I only (sometimes) put myself in experiment mode after losing a game and permanently recording it as such. In experiment mode I may undo moves and restart games but only in an attempt to learn. Experiment mode always ends when the next new game begins. I never reject a game regardless of the mode and my options are set so that when I quit Spider the current game is saved and is automatically reconstructed the next time I play. As such, all my recorded games are with no moves undone, no games restarted and no games rejected. I have been called a liar more that once because without undo and restart, it can't be done -- or so I was told. Yet, it IS true. What's more, I know that I still make mistakes, so I would guess that a 60% win ratio might be possible. I have at least a 99% winning rate. Nearly all games are winnable with enough patience. My longest streak was 132 games, broken only by a family member closing my game, thus a loss. I don't evaluate how well I play by my highest score; contrarily, it is the lowest scoring games that are the hardest won, sometimes taking several thousand moves. I was a Spider addict long before computers and used to play it daily with real cards. I had worked up to an average of winning 2 out of every 3 games (with no "undoing"). When I started playing on the computer my win rate dropped dramatically so I have long suspected the deals are not truly random. My current win rate is a pretty consistent 34%. I don't use undo very much, and if I do it's only to go a step or two back. I never undo a whole game. I do not have the "Discard" option. I do play the "undo"option. negative scores are not possible as points stop at "0" I have taken as many as 4300 moves to win the "Game" at the end of that game the score was "571" My highest score was "1128" To date I have a 102 game winning streak. I sincerely believe every game can be won. My longest winning streak was 158 games. That streak ended by an inadvertent mouse click on the "End Game" Thanks for listenen! Ciao! If you get the last set of cards with no match, you CAN actually win that game. You have to move the cards so the same suit falls on it where a stack can be moved. E.g. pretend there are only 3 stacks and you get 2,4,6 dealt on the top. Nothing moves right? Well if the 2 is a 2 of hearts and it falls on a 3 of hearts, you can move the 2 & 3 together onto the 4. You just have to shuffle the cards around before the last deal. Anyway, I thought the same thing as you at first. Anyway I don't know how these people got such high scores in expert mode. I am wondering if people restarted a game with knowledge of which cards to move. But maybe I'm wrong. My high score is 1021 and I've played a lot of games. When I use undo incessantly my win rate is almost 100%. Though now I just shoot for a high score instead of that and let my win rate suffer - It saves a lot of time! I think they should have Spider Solitaire Tournaments! I never lose at 4 suit with undo and discard. After learning on windows i switched to a version on iphone. Before learning i could undo and re-deal without incurring a loss I played 100 games, some taking multiple days, and won 98. Now i discard games that exceed my patience on a given day preferring to 'enjoy' the game. My average discard rate is probably 1 in 20 but i give up in small bunches usually after long win streaks. I am currently at 2,316 completed games without recording a loss. I still spend days trying to win. My Father high Score in Advanced lvl is "1265", 16k games played, you guys think is a world record? Not sure where this "only 80% of games can be won" comes from; I continually win about 90% of my game now, and believe that more patience will get me up close to 95% over time. Just to be clear, a 100% win rate is not possible with any spider game no matter how many times you undo. Why? Because if the last set of cards you reveal has no match there is nothing you could have done prior to create a match and expose a card. 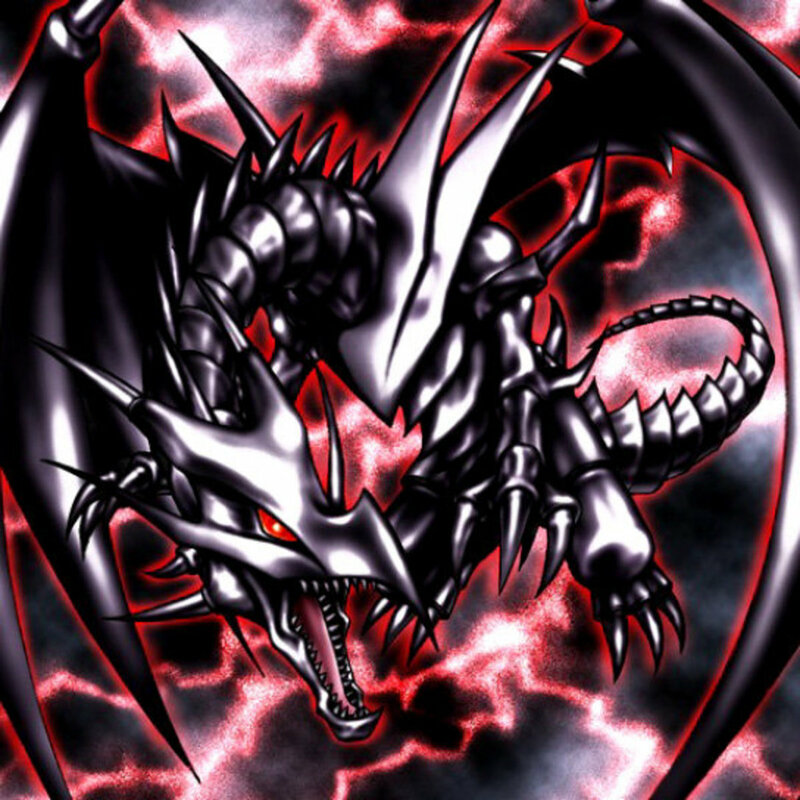 For example, the last ten cards revealed can be 2-2-2-2-4-4-4-4-6-6. With no play there can be no win. I use the undo all the way back to the start sometimes and have a 100% win rate. I think every spider solitaire 4-suit is winnable if you use the undo button. Undo is there to make it possible to win every game. I concur. I have 40 straight wins and I cannot see how I can lose at 4-suit spider solitaire. This is true as long as you can undo back to the start of the game. Therefore, I declare 100% for any number of suits (1,2,4). My four suit winning streak is 103 now. I need a new goal just for fun. Do you or anyone know the record for this? Can always better i see. I too have achieved over a 99% win rate without cheating by applying some "common sense" rules to the starting ten cards I'll play with. You don't lose by hitting F2 at the very beginning of the game (but once you make a single move, you're committed). For example, I don't start with more than one Ace or King, and normally like to see six movable cards or more. Love my 4-suit spider solitaire because it's really challenging and almost every game is winnable. I restarted on my new computer so I still have 100% wins in about 50 games. I'm hoping t0 keep it that way! My longest game was about 3000 moves. I'm a solitaire person myself, but I might have to try this. Good - I think "undoing" is a strategy to get as much information as is available and not cheating! Hello Elnavann ,Thankyou for this site. I also love to play Spider solitaire . I posted the above before I joined. I Have been to SA twice Once in 82 and again in 86 both times while sailing in Lykes Lines Merchant ships. I have fond rememberences of your country , a SA friend who actually visited me here in the States and one of my favorite preachers is also a SA from the Cape area. My 1251 game shocked me . I started the game and flew through it got stuck backed up almost to the start and then flew thru and won . But it must have been a glitch if top possible is 1254 .. What do you think? I dont know how i managed it but I got a 1251 game in 4 suit spider (advanced), it must have been a glitch because this site says 1254 is tops and virtually or nearly impossible . Otherwise I have won 68 games out of 1462 games for a 4% average with 1124 2nd highest , 2 1120 games and a 1114 game and I have 2 in a row 3 times with many back ups and low 900 scores. Best and most challenging solitaire game out there . The Sun version used a scoring scheme that had a maximum of 1000 points--if you got all 8 runs built in the tableau before moving any to the foundation. Personally I like this scheme. The author writes that he came up with it to help players gauge their progress. I am a 4 suit spider solitare addict. My current rate is one lost game out of 272 games. My last game took me about 5 hours to solve. True - the mind can start to play tricks. I have tried to go into negative intentionally on Windows 7, but could not - there might be different versions though, as we know Windows. I have been wondering whether there is not a World Cup for Spider Solitair - at least then all the hours spent on it would be seen as practicing . . . .
Elnavann I'm sure I have been in a negative score on Windows 7. I was so desperate to keep my average I continually replayed back to the beginning till I won the game. But I could be mistaken. The mind plays tricks after a few hours on Spider Solitaire. oh, I've been in the negative (with Vista) LOL...love this hub. Makes me remember the time I actually won, that 1 time.